San Antonio is the number two city in the nation for cyber security jobs, with Washington DC leading the nation. Through this class, as well as the extra-curricular opportunities, students are prepared to enter into this in-demand career. For the first time, Floresville HS has a team participating in Cyber Patriots, a tournament structured competition in which team members have six hours to identify a vulnerability in a network system. In its first year, the team has qualified for the state Cyber Patriot competition. The Cybersecurity program provides real-world experiences in a collaborative environment that can contribute to the future greater good. Many students move on to careers in cybersecurity! 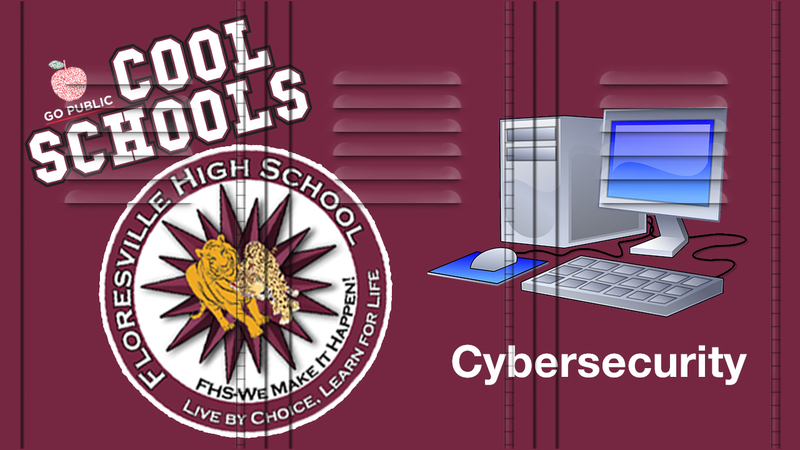 Scroll down to vote for the Floresville High School Cybersecurity program.